I've received a few emails from readers over the past few days. I thought it would be fun to share them with you all. 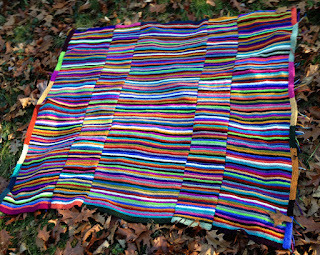 When I first leafed through my autographed copy of Crafting a Colorful Home, I knew that I needed to have your striped afghan in my home. I had been collecting colors of your yarn for years (how did you create an exceptional brown? I mean it’s just brown!) and I took the enormously generous gift card from my child and their partner to Webs. I’ve worked on it off and on for many months, and earlier this week I finally finished miles of mattress stitch, and spread it out on my sofa. There hasn’t been a sunny day since I finished, but this pic gives you an idea. 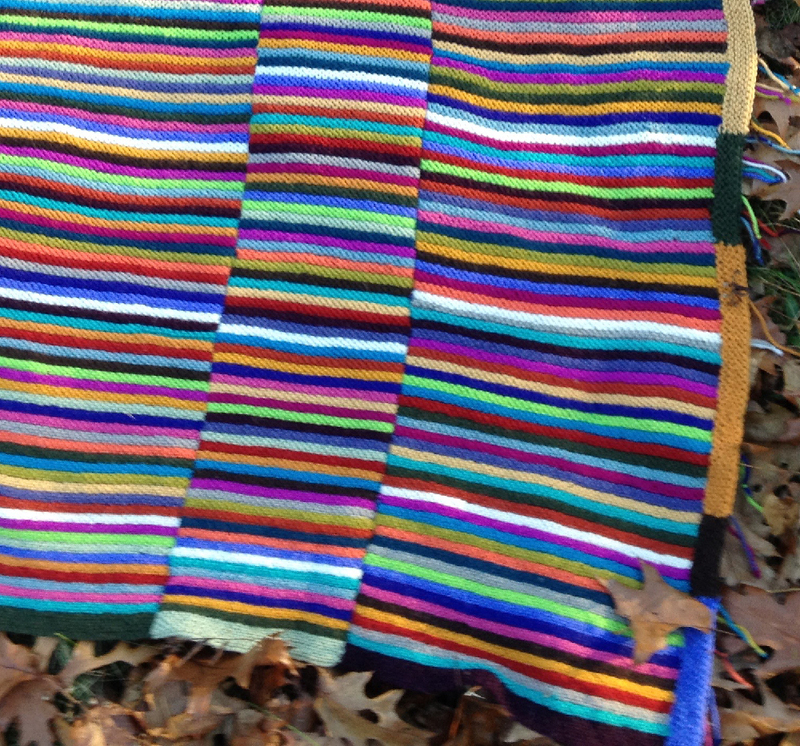 Color, entertainment, beauty, I knit it myself, and as an added bonus, I’m going to be warm this winter. Many thanks! 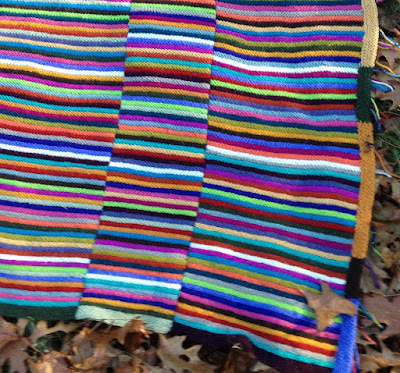 Here is the afghan that Anne has finished from my book Crafting A Colorful Home. Outstanding job Anne! It is an heirloom for sure. And from what I hear from Anne - her family is fighting for who gets to snuggle under it. Signed copies of my Crafting A Colorful Home book are available here. It will make a great Christmas gift for crafty friends. Years ago, I could not afford Classic Elite Tapestry. I would buy left overs that were on sale. Those left overs eventually became the attached sweater. Thanks for your inspiration. 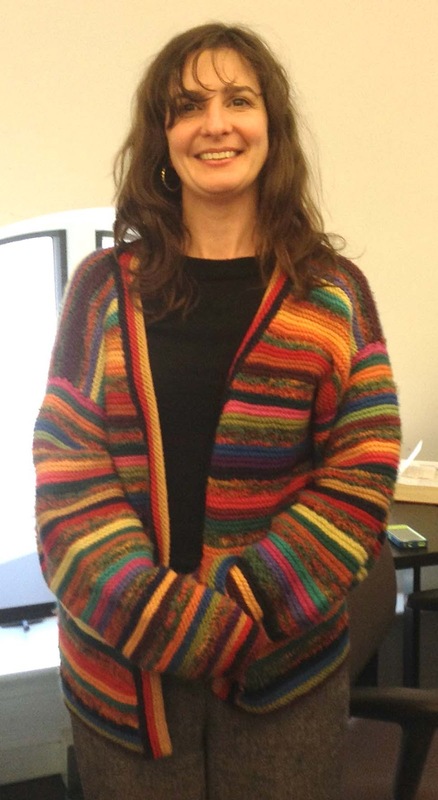 This sweater one keeps one of my most favorite co-workers warm. I love the sweater Patty made. It looks like something that I could use everyday here in our chilly farmhouse. I love all the crazy colors mixed together! Thanks for sharing Patty. And lastly, this is what I have been knitting lately. 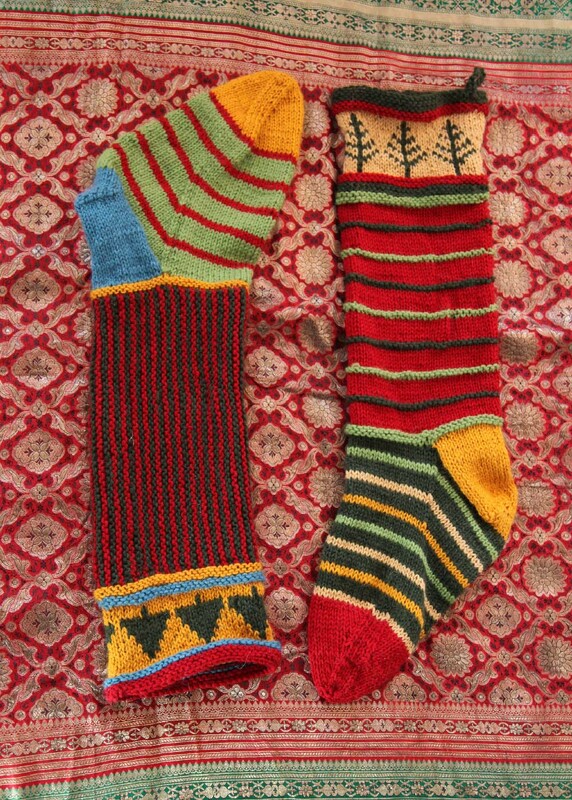 It is a pair of Christmas Stockings for some little people. These stockings will hang together for many years. I wanted to design them so they looked good together and the kids would be able to know whose was whose. They aren't done yet. Must be washed and then I will add some embroidered ornaments to the trees. The patterns I used are available on my website here and here. 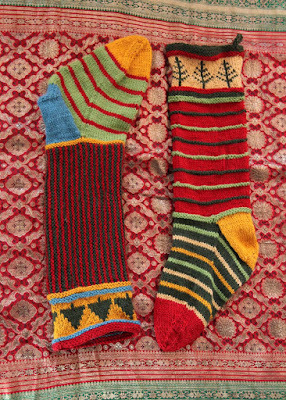 Or on Ravelry here and here. I mixed the two patterns together. Lots of designing options and fun. Hope you all are staying calm and taking care to travel safely if you are visiting friends and family. What a lovely blanket! I need to make myself one. 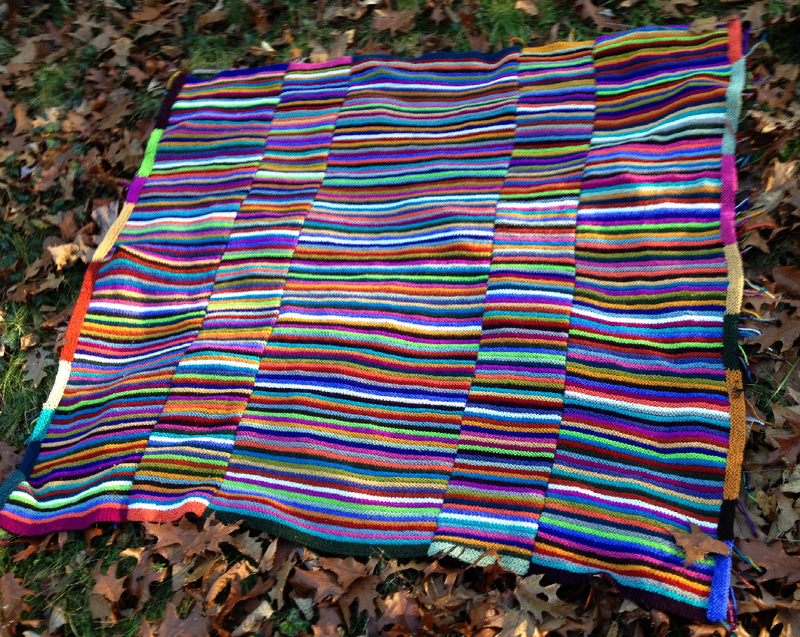 I know the blanket that I want to make but it will take me ages to get it done so I hesitate to start it. I have a question for you: I made my own stockings for my girls and they stretch so bad when I put things in them. Is there a way I can stop them from stretching? The only idea I have had is to line them, which I can do but hate doing. Any ideas would be greatly appreciated!